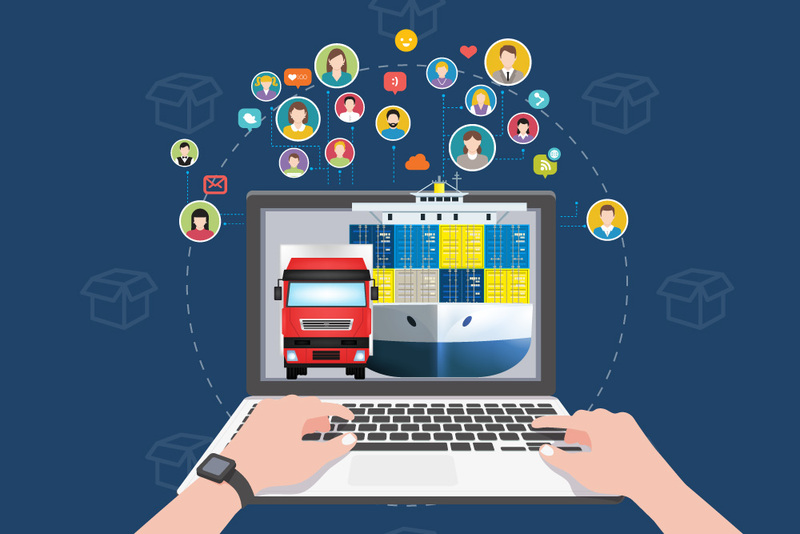 Opportunities are aplenty for the shipping and trucking industry, if they explore the use of social media. Since a huge percentage in this industry has not widely utilized sharing online content, there seems to be a lot of opportunities for those who want to tread the waters and explore. This means that there is still a wide, uncharted territory for smart business owners to conquer. For most businesses involved in logistics, the content possibilities are limitless. Let’s look at how Maersk used social media to catch the attention of prospective clients. The largest shipping conglomerate is aware they had interesting stories to tell and is the industry pioneer when it comes to content. Some of the epic materials produced by their team include a series of videos aired through Discovery Channel, which documented the construction of the world’s biggest freight ship. When shared in YouTube and other online channels, these videos were able to catch the fancy of those in the industry. The videos also appealed to ordinary folk who grew fascinated with the epic amount of effort needed to build such super ship. Nowadays, customers use social media to give feedback and rate their experiences with companies. Even if you purposely lead clients to contact your CSR via phone or email, they know that they’ll get more attention on Facebook, Twitter, and social media sites. Almost all businesses from different fields now experience this problem. They also understand how providing solutions can have a major impact on their success. Safeguarding your business’ reputation online is now an important part of doing business, and it is unwise to neglect clients venting their concerns on social media channels. Remember, these complaints can spread like wildfire anywhere with an Internet connection. The most practical solution is to identify your social channels as a crucial facet of your customer service strategy. Majority of social media channels provide advertising packages to increase reach to a wider audience. Unlike other media used to tap prospective customers, social media ad costs are way cheaper. In the past few years, trucking and shipping industry leaders have embraced social media advertising and have included a huge chunk of their advertising budget on it. Truck drivers and shippers encounter a wide array of challenges daily. As they travel in an ever-changing landscape, it’s a must that they are able to process information and make quick decisions in order to beat their tight deadlines. Aside from providing content for visitors, offshore web development may also give practical information and “hacks” to truckers in real time with the use of social media to assist drivers on the road, as well as their waiting clients. By having a company Twitter account exclusively targeted for truck drivers, truckers can get information and answers in real time while they are on the road. An Instagram account may be utilized to post photos from truckers on the job, thus promoting healthy interaction between the customers, the truckers, and the businesses – leading to a win-win situation.